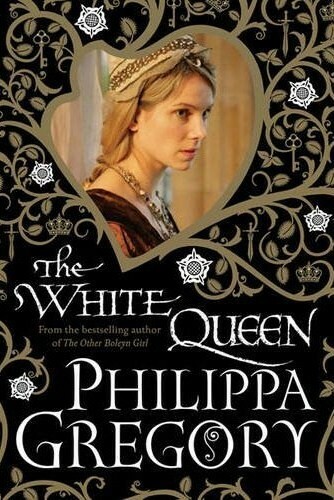 The first Philippa Gregory I read, was The Other Boleyn Girl and I was hooked for good. I read all her other books, mainly on the Tudors. They were all fascinating reads and the best part was that the books were always written from the point of view of a woman. It gave a rare insight into what might have gone on, with the women, behind the scenes. The women who were responsible(in a way) for the formation of the Church of England. It also piqued my interest in the history and I read up a lot of history, in an effort to understand what was fiction and what was fact.What fascinated me was that most of what Gregory wrote was based on facts. And the dimensions she adds to her characters are wonderful. When I saw The White Queen in the library, I just had to pick it up. In this book, she moves on from the Tudors to the dynasty before them – the Plantaganets. The book starts off with Elizabeth Woodville, a Lancastarian widow who stops the King Edward on his way, to ask for justice and for her lands to be returned to her. It turns out that Edward falls in love with her and marries her in secret. In the backdrop, there is also the suggestion of witchcraft. Elizabeth and her mother are shown indulging in witchcraft. Soon, she is accepted as the Queen of England, but not without her share of enemies who believe that she tricked the King to marry her. It does not help matters that her family is given a lot of important positions by the king. As the story develops, with treason, treachery and conquests, it is fascinating to read it from the queen’s point of view. Of her ambitions and hopes for her children.The choices that she makes, the life that she lives. I especially love the fact that she shows all the blacks and the greys as well as vulnerable parts of the queen’s character. As I said earlier, it shows the important role the women played in aspects of governing even in those days. I have not read up the history yet, but I definitely found it very interesting. My recommendation is that if you like historical fiction, go for it, otherwise keep away. 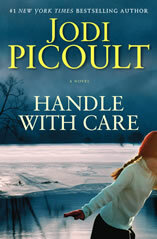 Jodi Picoult’s writing always captivated me, even if I could not always agree with some of the protagonists. Handle with care was no different. She picked up another sensitive issue and made it a very interesting read. Charlotte and Sean O’Keefe after a lot of trying, conceive and they find that the baby, Willow, has a rare condition called osteogenesis imperfecta. She is born with broken bones. And it can only get worse as she grows. A child who can break a bone if held incorrectly, who cannot be hugged, cuddled, unless with great care. A nurse manages to break a bone, right after she is born, by handling her wrong. As Willow grows older, the stress on the family increases. Charlotte has an elder daughter Amelia, from a previous relationship, who feels the pressure of have a sibling who is so sick.The family’s finances are stretched and the circumstances have begun to take a toll on all of them. Having had so many broken bones, it is mandatory for Willow’s parents to carry the certificate from her doctor which certifies that she has osteogenesis imperfecta. They forget to carry this to a trip to Disneyland and they are suspected of abusing their daughter. Having so many broken bones can only mean abuse. After the disastrous Disneyland, Sean is all set to sue Disneyland and the hospital for the mental torture, when they are told that they have another option. They could sue their ob-gyn for not recognizing Willow’s condition early enough so that they could have opted for termination. This would mean that Charlotte would have to sue her best friend and would have to stand up in court and say that she wishes that Willow was never born. 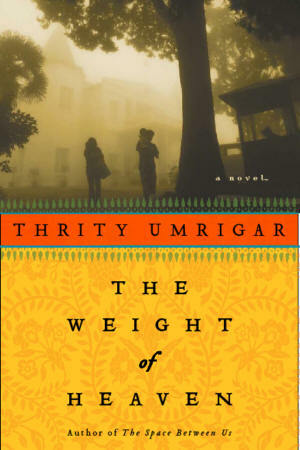 It was a very moving book to read. The kind of pain that Willow has to go through. The feelings that Amelia has to go through, having a mother who has little time for her, though she loves her wholeheartedly. Knowing that everything could go wrong with the slightest mistake. The stress that Charlotte and Sean’s relationship goes through. There are a lot of times when Charlotte comes through as rather mercenary, but again, I guess, someone in her position might just become that way.